My husband says this with almost a note of envy in his voice. To be honest, I don’t think my dreams are particularly different than others’ dreams. My personal favorites are the ones when I can fly. Those where I’m back in high school or college where I’ve missed an important exam or have forgotten the combination to my locker can go. I’m sure a dream analyst would know what this all means. But occasionally I do have these vivid, creature-centered dreams that, I will admit, are odd and these are the ones my husband enjoys hearing about. Mice in parachutes: Tiny little mice came down from the sky in white parachutes the size of cocktail napkins. Though I remember this dream as having a wistful, cartoon-like quality, it was actually prompted by an unpleasant mouse-sighting in my guest bedroom 13 years ago. Not very long after that, we brought home our newly-adopted kitty, Pilot, and we haven’t had a mouse problem since. The fishbowl room: Then there was the one where I was in a room, much like an art gallery with white walls. But instead of paintings I was surrounded by fish. I remember standing off to one side of the room while colorful fish of all sizes swam all around me. Maybe this was prompted by a snorkeling experience? I don’t remember. Bears in the yard: Thank goodness they didn’t seem to be interested in me but I do remember frantically closing every door and window in the house to stay safe from them. I think this was prompted by a bear sighting while I hiking in Telluride years ago. Finally, there was the mountain lion at the door. This happened only last week. My husband was out of town, I was up late, in the bedroom with the television on. Pilot was sitting just a foot or two away from the sliding door of my bedroom. He often does this: watch the nocturnal creatures pass through our yard. Typically, it’s the raccoons, coyotes, deer and possums. Suddenly, Pilot bolted out of the room…and loudly. It was a surprise to see his 13-year old body move that fast. His loud exit caused me to look in his direction but he was gone. What did I see instead? A mountain lion! It was so close. And big. Its nose was just inches away from my door. She was looking at the spot where my cat sat so I know she would have gone after Pilot if the door hadn’t been in her way. I stood up to grab a flashlight so I could follow its movements outside but by the time I could turn it on it had already disappeared in the darkness. The scary thing? This was no dream. This part of California is recognized as mountain lion country but we’ve never had one come this close before. There have been numerous reports of sightings recently but I certainly didn’t expect to have one strolling through my yard. When I woke up the next day the mountain lion “visit” felt surreal. My husband was disappointed that he wasn’t here to see it but I am just hoping it has decided to move on. What does this have to do with a cake? Nothing at all except that it’s much nicer to share something sweet with you after my crazy experience. I returned home from our trip this summer quite excited about trying Scandinavian baked goods at home. I’ve had success with kavring (A Swedish dark rye bread, recipe here) and now here is an aeblekage, Danish Apple cake. My favorite Cinnamon Apple Cake is here, but I’m pleased to say that this is no slouch at all. It was the perfect cake to throw together with company because it was so easy. Even better, spelt flour worked very well in place of all-purpose, giving this a nuttier, deeper flavor. The original recipe is from Beatrice Ojakangas’ The Great Scandinavian Baking Book and I want to bake every single recipe from it. The only other changes I made were to reduce the sugar just a little and the addition of cinnamon to the sliced apples. I have no doubt that if you choose to prepare the recipe as Ms. Ojakangas intended it, it would be perfect. Both versions are noted in the instructions below. 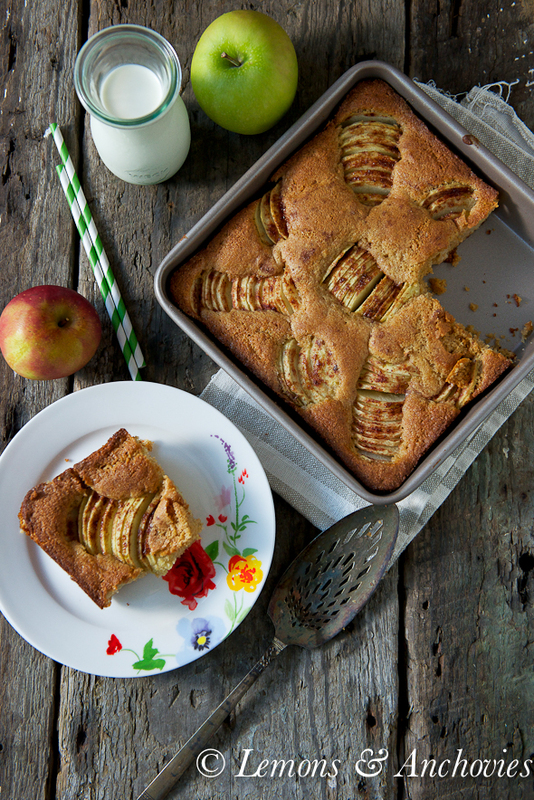 The original version of this cake skips the cinnamon but I can't resist it paired with apples. The original also uses regular all-purpose flour but it turned out perfect with spelt flour. Butter a 9-inch round or square cake pan and preheat your oven to 375℉. Using a hand mixer at medium speed cream the butter and scant ¾ cup sugar in a large bowl until blended. Add the eggs and vanilla and continue to beat until the mixture is light and fluffy then blend in the milk. Stir or whisk together the flour and baking powder in a separate bowl then stir into the wet mixture in the large bowl. This will make a stiff batter. This recipe was adapted from Beatrice Ojakangas' "The Great Scandinavian Baking Book" with minor changes. I wish I could remember mine, yours sound pretty good though. I have heard we have had a sighting even way out here, but nothing like the one coming up to your door. Scary. Will be baking with apples now that they are plentiful, hope it cools down more so I don’t mind the oven on. Hope all is going well with you. This cake looks amazing! I will have to make it soon with my girl because she loves baking so much, and I have to admit that even 10 year old is better in making cakes than me haha…Wish I have some now! My mom believes the stranger the dream, the more creative the dreamer (unless she’s been saying that to make me feel better all these years?). 😀 I love your parachuting mice!! My yard is a haven for deer, wild turkey and countless rabbits but I have never encountered a gorgeous predatory mammal…I’m glad to hear you and Pilot had a safe close encounter. Big cats are so majestic! This cake is absolutely lovely! I’m beginning to get a feel for autumn, this recipe sets the mood, perfectly. Jean I LOVE this fall recipe!! Pretty pictures too ~ pinned! Such a perfect cake for fall (love the cinnamon addition!). I can never resist an easy and delicious cake! A beautiful cake! So tempting and wonderfully seasonal. I love Beatrice Ojakangas’ book. I am saying this with big hints of envy – I never remember my dreams. I wish I did. But I did have an encounter with a mountain lion while hiking and I am pleased to report that I am well and alive. Thanks for this wonderful recipe. Gives me an option to do something other than pie with apples! 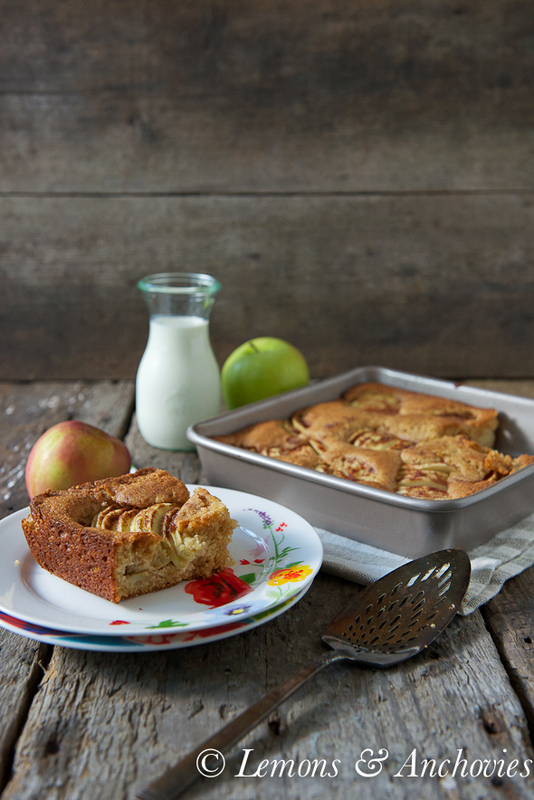 That looks so good, we have something here called Dorset Apple Cake which I make but I think I will try your Danish one next time! 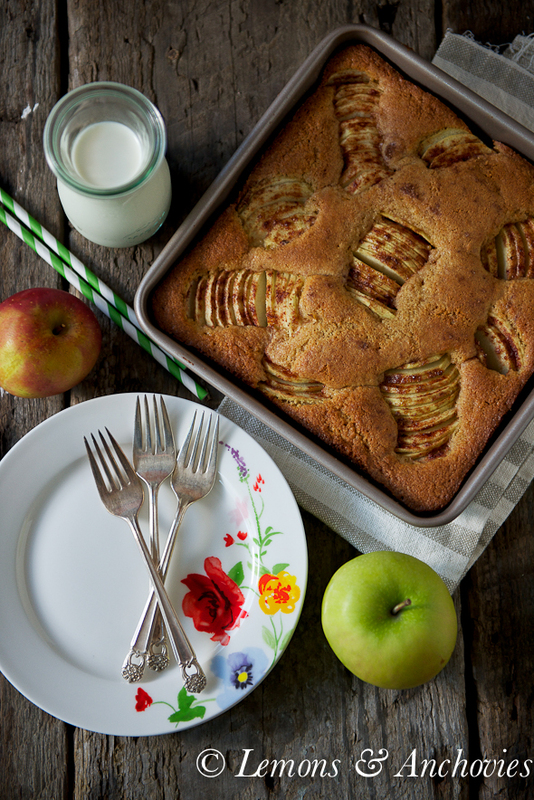 This is seriously one beautiful apple cake!! Looks so moist as well! My dreams are often very visible and seem real. I especially love the flying dreams – although they do not happen as often as I would like. Your cake looks divine!!! The cake looks beautiful Jean…I sure would love a slice of this cake…perfect for the season.